Published in the July 2007 issue of Today’s Hospitalist. At a packed forum for community hospitalists at this year’s Society of Hospital Medicine annual meeting, a physician was bemoaning the fact that he was producing about 10,000 work RVUs every year “more than three times the national median. But instead of earning three times the average income, he and his colleagues run up against an income cap that doesn’t allow them to earn what they should for such over-the-top productivity. As program directors in the room shouted out only half-joking job offers, the hospitalist revealed that he probably won’t be going anywhere else soon. According to his employment contract, he said, he’s agreed to stay with the practice for five years. 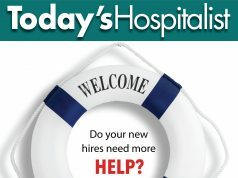 If he leaves any sooner, the hospitalist explained, he must pay back recruiting costs. If you think that type of penalty sounds a little harsh, you’re far from alone. Hospital medicine, after all, is a specialty that some experts have described as being more akin to dating than to marriage. Hospitalists, particularly those who are young and without family ties to a community, often want to try out practices in different locales and with different employment models. Besides, in such a red hot job market, hospitalists who have any qualms about how a practice is run or who feel overrun with a heavy workload are well-known for voting with their feet. While all of this may be true, hospitalist practices are struggling to keep their heads above water in a ferocious recruiting environment. A number are responding by building into their contracts certain incentives “and/or penalties “to encourage hospitalists to stay. To find out exactly how widespread this trend is, we talked to recruiters around the country and asked them what incentives and conditions they’re seeing to get hospitalists to commit. How much of a penalty would paying back recruiting expenses be? Sean Crosswhite, vice president of hospital-based recruiting for Merritt, Hawkins & Associates, a national recruiting firm, breaks down the potential costs. The largest financial exposure in recruiting, he points out, is the starting salary offered to attract candidates, which is a median of $168,000. Other costs include a signing bonus, tail insurance and benefits ($50,000); re-location expenses ($10,000); interview expenses ($3,000); and recruiting fees. Those can include the salary of an in-house recruiter or the fees associated with a retained or a contingent search firm, which run between $18,000 and $50,000. “It quickly adds up,” points out Mr. Crosswhite, who says that the overall cost to recruit a hospitalist can easily top $250,000. Some practices set contractual obligations for new physicians, expecting them to pay back a portion of their signing bonus and re-location expenses if they leave within 12 months. But because hospital medicine is so competitive, groups know that building onerous penalties into a contract won’t serve them well in the marketplace. In her 20 years of experience as a physician recruiter, Susan Edson, vice president of New England Health Search, has never come across a contract that stipulated paying back recruitment costs. But she is certainly seeing some clients “which include several hospitals, as well as a private hospitalist practice “turning to an incentive that has particular appeal to young physicians: paying back a certain amount of medical school debt in return for a stipulated amount of service. “Some of my clients have done a five-year payback schedule,” Ms. Edson explains, while others will continue giving physicians a certain amount of money every year to retire debt until it is paid off. In return for that debt repayment package, “physicians are supposed to repay those student loan amounts if they don’t stay five years,” she says. Ms. Edson points out, however, that she’s not aware of any client that has followed through on that penalty. Many practices take another approach to long-term commitment: offering tiered benefits that become more attractive the longer physicians stay. Although its hospitalist group was established only two and a half years ago, Monarch HealthCare finds that its reputation carries some weight in recruitment and retention. “We are among the biggest in Southern California, with the highest membership in the area,” says Kristin Pearce, manager of Orange County Hospitalist Physicians, the hospitalist arm of the Monarch HealthCare medical group. Monarch is an independent physician association that covers 185,000 insured patients throughout Orange County. The 18-hospitalist group now covers six hospitals and three skilled nursing facilities, although Monarch plans to recruit until hospitalists can cover all of the hospitals within the Monarch system. To encourage physicians to make longer commitments, the group has implemented several tiered incentives based on physicians remaining more than one year. 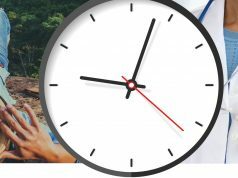 Paid vacation time, for instance, increases from year one to year two. Salaries also bump up appreciably after the first year, and physicians are offered shares of stock in the parent medical group. Dan Fuller is president and co-founder of In Compass Health Inc., a national hospitalist company based in Alpharetta, Ga., that employs more than 250 hospitalists working in 40 different facilities across the country. Occasionally, Mr. Fuller says, the company will build into a contract the stipulation that new recruits who leave will have to pay back some portion of relocation expenses within a certain period of time. That’s especially true if those expenses have been significant. Instead, he says, In Compass wants to part ways very amicably with physicians who may be leaving to find more money or to enter a fellowship, seeing the wisdom of not burning any bridges with a former employee. “Then your reputation becomes: ‘These guys are looking out for us, and they’re not trying to keep me here if I don’t want to be here,’ ” he points out. While the company avoids sticks, other than standard non-competes, Mr. Fuller notes that In Compass has created better incentives to encourage retention: more robust insurance coverage, including disability; better compensation; and a 401(k) plan. The company is also considering a step-wise shareholders’ plan that would be pegged to physicians’ staying a certain number of years. According to Shawn M. Burns, who is vice president of physician services for Sound Inpatient Physicians in Tacoma, Wash., the key to long-term commitment lies beyond penalties and incentives. 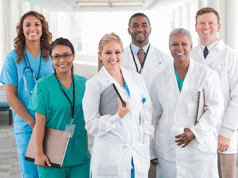 Instead, the focus should be on creating hospitalist positions that become careers. Sound, which now has 250 hospitalists working in 25 hospitalist teams across six states, keeps a close watch on how daily census invariably creeps up as practices take on more services. Mr. Burns says that the company anticipates the need to recruit more physicians when that census starts to rise, hiring locums physicians to help out in the short-term and not waiting for permanent physicians to arrive. While Sound plans to continue to use locums firms, he says the company is now building its own internal locums presence. To make sure physicians aren’t blindsided by financial penalties related to retention that could be in a contract’s fine print, experts advise doctors to take a long look at the contract (and share it with an attorney) at the very start of the recruiting process. “You want to obtain a sample copy of the employment contract or a template before an on-site interview,” says Sean Crosswhite, vice president of hospital-based recruiting for the national recruiting firm Merritt, Hawkins & Associates. This gives you the opportunity to review the contract in depth, which should eliminate any potential surprises. Long before physicians sit down for a face-to-face with a potential employer, he adds, they should pay particular attention to contractual language, which outlines obligations and expectations. And beware of prospective penalties that are too stringent, Mr. Crosswhite warns. Those may be a real red flag that the practice may have problems holding on to its physicians.